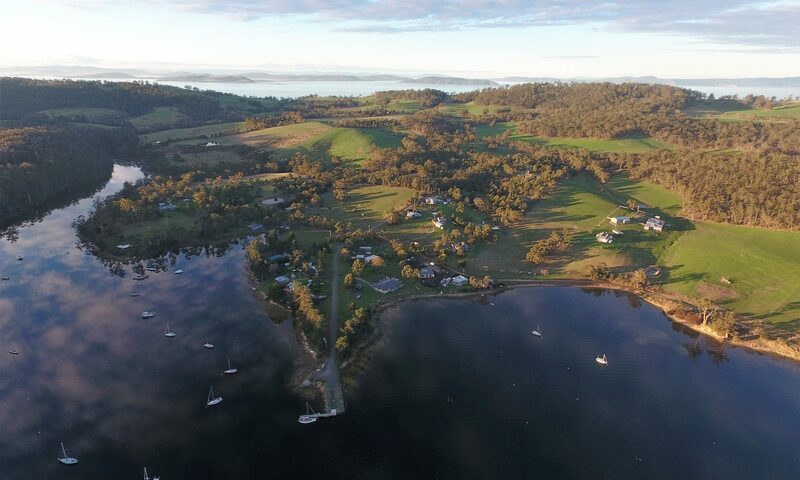 Bruny Island was selected under the Australian Government Threatened Species Strategy – 2015/2016 as one of five Australian islands to progress feral cat eradication, in recognition of the potential threat that feral cats pose to the significant biodiversity values on Bruny Island. A huge thank you to all those partner organisations and individuals that are making this project a reality: Kingborough Council, Invasive Species Branch and Parks and Wildlife, UTas School of Zoology, Ten Lives Cat Centre, Birdlife Tasmania, Bruny Island Environment Network, Bruny Island Community Association, Tasmanian Land Conservancy and private landowners. It aims to provide the foundations to assess and manage the impacts of cats at the Neck and North Bruny to inform both the long-term control of cat impacts across the island and the feasibility of feral cat eradication. It is proving to be a very exciting adventure, offering excellent learning and a model and tools for other Councils and cat management programs across the state. Workshops and consultation with community members and key experts in 2016 provided the basis for a cost benefit analysis of different options and found significant knowledge gaps about the differences in feral cat activity across the island and the impact of cats on native species and agriculture. Control of feral cats at the Neck seabird colony came out as best environmental benefit (both locally and for North Bruny) and value for money during the initial three years of the project. Importantly it also identified that responsible pet cat ownership is critical to reduce the source of un-wanted and stray cats. A special thank you goes to all the participants in these workshops, especially community members. The current foci of the project is on developing robust baseline data and monitoring systems to assess the impact of feral cat control on threatened and priority native species; achieving community adoption of responsible pet cat ownership; and an assessment of the feasibility and cost of feral cat eradication from Bruny. 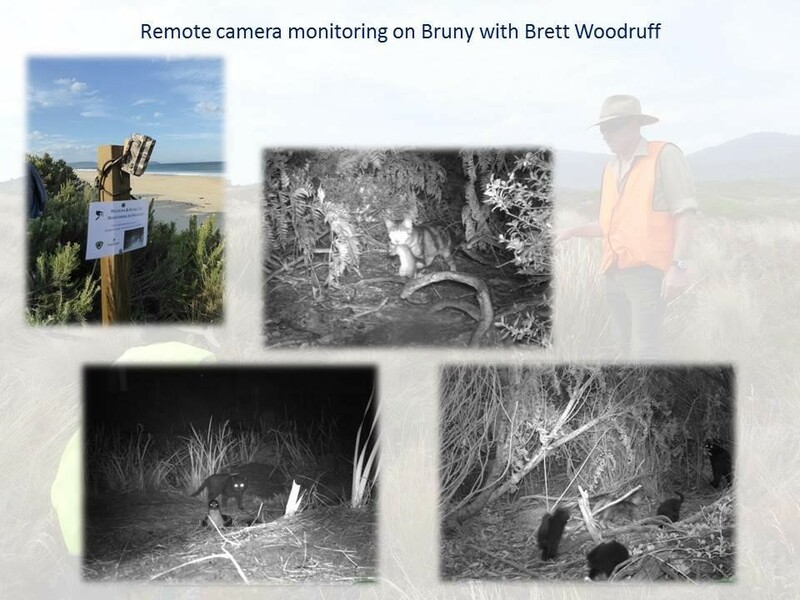 Brett Woodruff came on board as the Field Officer for the Bruny Project in March. His role is to monitor and control the feral cat population around the Neck and North Bruny. Brett is a great asset to the project with extensive experience detecting, monitoring and controlling invasive species throughout Tasmania, mainland Australia and New Zealand. A comprehensive monitoring program has commenced at the Neck and North Bruny to try to quantify the impact of cat control at the Neck and adjacent areas on priority seabirds and small mammals, and to determine the distribution and density of feral cats on North Bruny. By tracking the movement of feral cats, the project is also assessing if intensive management at the Neck can play a key role in limiting the dispersal of feral cats to North Bruny. Additional research funds are being sought to collect data that will help assess the feasibility of feral cat eradication from the entire Island. Research includes identifying cat activity across South Bruny, determining interactions between cat, quoll and rabbit distribution and the prevalence of cat borne disease (cats, native fauna and sheep) across the island.